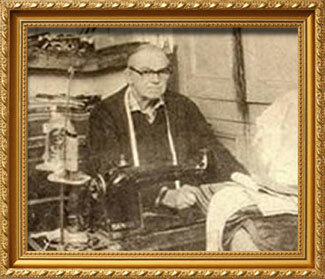 Upholstery has been a tradition within the Price family for more than seven decades, spanning three generations. 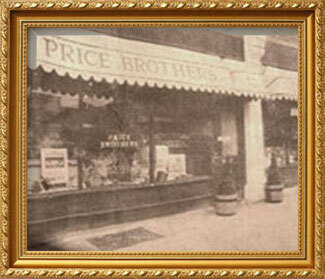 Price Brothers was founded in 1946 by my Grandfather, Gwillym and his brother Ernest Price. Both served their apprenticeships with Astons, who at that time were the leading furniture manufacturers in the area. In 1942 the brothers were conscripted to serve in the Second World War. Gwillym was stationed in West Africa, whilst Ernie travelled across Europe. On their return in 1945 they started their business in a lock-up shed at Pentre Felin, next to a leather tannery in Wrexham. Shortly afterwards they moved to our current premises in Pen y Bryn. Here they undertook the re-upholstery and restoration of furniture and carpet fitting. Actually they could turn their hands to anything that would earn them, "A bob or two!" Due to recession and hard times during the early 1950s, Ernie left the upholstery business, joining a local builder as a carpenter, leaving Gwillym to persevere on his own. He often delivered furniture on the back of his bike or pushing it down the road in a cart! Then, in 1964. My father Robert Price left school and started in the upholstery trade. In 1970 he became a partner. 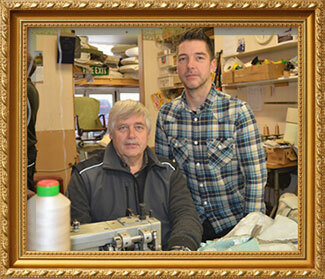 As father and son they built a reputation as one of the most reliable and respectable upholsterers in the area. I joined the upholstery business full time in 1988, quickly picking up all the old traditions from my Grandfather, whilst learning modern techniques from my own Father. It has been schooling second to none. My Grandfather worked into his early 70s. During this period Price Brothers introduced a new and exciting side to the business. My Mother Mrs Norma Price added some flair. The business expanded by introducing the sale of quality furniture; custom made curtains, blinds, a full home furnishings service, therefore enabling clients to co-ordinate window furnishings and wall coverings, complementing the already established re-upholstery elements. Now over twenty five years on and I am still extremely proud to be the 3rd generation of upholsterers in the Price family. By maintaining our strong craftsmen’s traditions we continue to offer what many regard as the ultimate service in the North West. With our reputation, an ever increasing client base including the 6th Duke of Westminster. Price Brothers is definitely around to stay, offering our clients an abundance of attractive furnishing solutions. For friendly expert advice please get in touch.